Uri: The Surgical Strike released earlier this year and proved to be a Blockbuster at the Box Office. The film earned more than 200 crores net because the content was top notch and evoked the feeling of patriotism among the public. Now Bollywood filmmakers are seeing the recent Pulwama attacks and Surgical Strike 2.0 as a big opportunity to cash on. Reportedly, the representatives of at least five production companies rushed to IMMPA to reserve the movie titles based on the Pulwama attacks and its aftermath. So this is the kind of craze among Bollywood people for registering movie titles based on the recent Pulwama attack. We just hope they sit together and jointly produce a single film because the audience won’t watch 10 films on 1 topic anyway. Right? A source talked about the environment at IMMPA and said that it was quite a sight to see how every producer who was present there started discussing amongst themselves and suggesting variations of the same title. Interesting! Dhoni is one of the most shining stars of the Indian cricket team. No matter how many questions you arise on him, he will prove you wrong with his amazing fitness and presence of mind. Recently during the 2nd T20I against Australia at Chinnaswamy Stadium, Dhoni showed something which was nothing short of mind-boggling. While trying to respond to delivery by Adam Zampa in the 11th over of the match, Dhoni went out of the crease. To save himself from getting stumped he immediately returned and showed a full split stretch of 2.14 meters. Isn’t that wow? How’s that for a stretch from @msdhoni ? How’s that for a stretch from @msdhoni ?? Only MS can do this ?? Fitness Level of Mahi ? Nobody stumps other batsmen better than Dhoni. Isn’t that amazing? We hope to see many more amazing innings from Dhoni in future. Indian Armed force have always been a strong layer of protection for us. The army men have taken all the bullets coming towards us straight on their chests, just because we are the citizens of India. During the Pulwama attack, our 40+ CRPF Jawans were martyred and it really angered the nation. A lot of people felt the pain of martyred jawans’ families and helped them financially. May Bollywood celebs also came out in the support of the families in pain. Remember, Akshay Kumar had donated Rs 5 crores for the cause through Bharat Ke Veer? The superstar has now received appreciation from the brother of a martyr who says that he helped when they needed it the most. Vikram Singh, brother of a martyr Jeet Ram Gurjar thanked Akshay for helping the family and his sister-in-law with a total sum of Rs 15 lakhs. Vikram also revealed that his brother was the only earning member of the family and the help has come when the family needed it the most. We are so proud of Akshay! In the last few years, the reign of the Khans has been overtaken by a bunch of fresh faced new actors, who prefer content over your stereotypical Bollywood masala films. This became all the more obvious when films like Zero, Race 3 or Thugs Of Hindostan were major flops last year but on the other hand, films like Badhai Ho, Andhadhun and other OTT films stole the show. Recently, a major media house interviewed Nawazuddin Siddiqui on the same. Nawaz is one actor who is said to have kick started this era of content driven films in India. He disagrees, however. He said that actors are not responsible for the content driven films being made now. The change came in many years ago with directors like Ram Gopal Verma or Anurag Kashyap. He said that it is just a coincidence that the timing of these content driven films being made matches with the decline of the superstars of Bollywood. He also said that the Khans had nothing to do with this. He feels that it is wrong to blame the Khans. Just because they had one or two flop films does not mean their era is over. What do you have to say about his views? Do you agree with them? 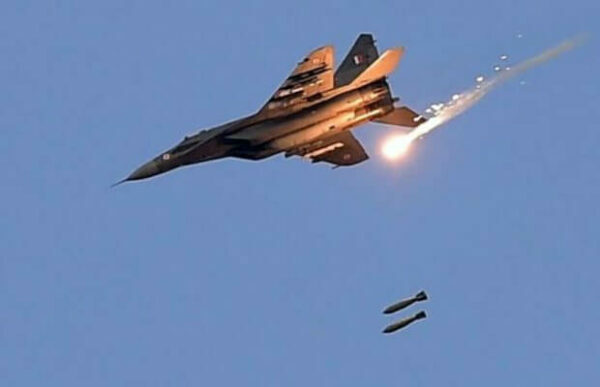 The Indian Air Force has avenged the Pulwama Tragedy of 14th February by taking down all the major camps of the Jaish-e-Mohammed militant group across the borders in Pakistan. While this move has been celebrated by Indians around the country, the nation continues to be in an extremely vulnerable position as the threat of Pakistan retaliating hangs in the air. Amidst all this, one aspect must be understood and analyzed. Before the Pulwama incident, Modi’s future as the leader of the country was in jeopardy as the scales were tilted in the favour of Congress. However, by avenging the incident, Modi has clearly won over the hearts of the majority and a lot of people are feeling that Modi might have a landslide victory in the 2019 Elections as well. Now, Karnataka BJP chief B S Yeddyurappa has also spoken up on the same. He says that these air strikes would be beneficial for Modi as it would help him win at least 22 to 28 seats in Karnataka. He said that the strikes have created a Modi Wave, which will help him win in the 2019 elections. 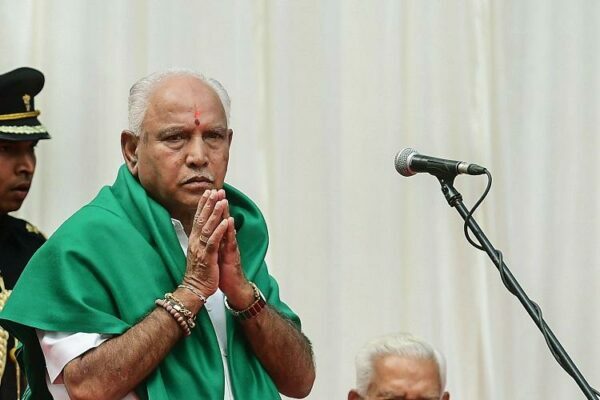 He has assured that Modi would win by a majority in Karnataka for sure. Last year, Isha Ambani’s wedding was the talk of the town when the Ambanis went all out and practically took over an entire city just to celebrate their daughter’s union. When news broke of Beyonce performing for the wedding, we were legit stunned. I mean, Beyonce? At a wedding? How? But we also realized that nothing is out of reach for the Ambanis. This February, Akash Ambani will be marrying Shloka Mehta in an equally grand ceremony. A few days ago, rumours said that Maroon 5 will be performing at the wedding. But why go for Maroon 5, when you can simply get Chris Martin to perform? And not just Chris Martin, the Ambanis also got the Chainsmokers to come in for the pre-wedding festivities in Switzerland. Chris Martin and the Chainsmokers for a private concert. Wow. Lucky are the ones who got a chance to see these amazing stars perform live. You and me? We’re gonna have to remain content with these videos flooding our Instagram. If anything, by now we know that nothing’s impossible for the Ambanis. Last time, they got Salman and SRK together on stage. This time, they decided to have Aamir and SRK dancing on stage together. The wedding was lit, without a shred of doubt. And the festivities have only just begun. Stay tuned for more updates. On Tuesday, IAF crossed the Line of Control in order to bomb the main training camps of the militant groups, belonging to JeM and LeT. This strike had led to severe casualties, and Pakistan soon issued a warning that they would retaliate. On Wednesday, in an aerial engagement, a MiG 21 Bison jet was taken down by Pakistan fighter jets, in which one Indian pilot has been taken into custody. IAF pilot Wing Commander Abhinandan, who is grievously injured, has been taken captive by the Pakistani army, as has been confirmed by the Indian government. Now, the question arises, is the Geneva Convention being followed? 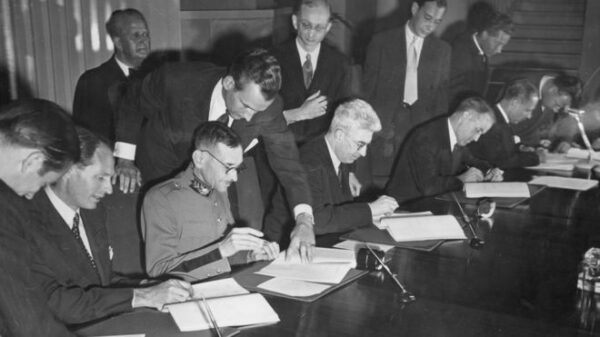 The Geneva Convention was signed in 1949 by over 196 countries, in an attempt to eradicate the horrors of war. The Convention clear states measures that a country must take with regards to rights of civilians, wartime prisoners, military personnel and other precautions in a war zone. Let us analyze the situation one by one. Videos are being circulated on the internet, as shown above. 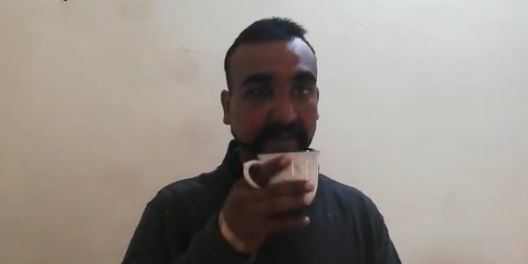 Now according to these videos, the IAF pilot is being well taken care of and is seen drinking tea and conversing with his captors. However, these videos also show that the pilot is injured, and he seems to be bleeding from his head. According to the Convention, Pakistan is obliged to provide him with required medical attention. Article 13 of the Geneva Convention states ignoring or endangering the health conditions of a prisoner of war will be treated as a breach of what the convention stands for. Also, the Convention states that while being held prisoner, the onus is on the country to ensure that his or her integrity is protected. He must also be protected from any kind of intimidation. This also includes prohibition of circulation of any photos and videos. Thus, if the videos that have been circulated are verified, this will be considered a serious violation of the Convention. The Geneva Convention also states that the detention of a POW is not supposed to be a form of punishment. Instead, it is simply supposed to curb any further participation in the conflict. It also states that the prisoner is supposed to be treated with humanity on all grounds, and must be provided with the basic amenities required for survival. At present, sources have informed that the whereabouts of the IAF pilot are unknown. The video released by the Pakistan army has currently been taken down. Ever since the news of IAF Pilot, Wing Commander Abhinandan being in the custody of Pakistan Army has broke, everyone in India is in pain. The pain is gruesome and everyone wants our brave soldier back in the country in a healthy state. Even though the latest video of Abhinandan shows him in a sound state, the public is still keeping an eye on each and every update. Even Bollywood celebs have expressed their feelings regarding the same. After Swara Bhasker, even Diljit Dosanjh took to Twitter and shared his pain. Will Post New Date Soon? Will Post New Date Soon? @MadameTussauds @tussaudsdelhi #BringBackAbhinandan ? It’s Always the Soldiers & innocent Civilians who Suffer & Die ? Kaun Bhale Kau Mandey ? NANAK NAAM CHARDI KALAA TERE BHANE SARBAT DA BHALAA ? After almost two weeks India woke up to a great news that they wanted to hear since 14th February, when a SUV full of 350 kg of explosives rammed into the CRPF convoy, it took lives of more than forty of our Jawans. Later a video surfaced where Pakistan based militant group Jaish-e-Mohammed claimed responsibility of this act. 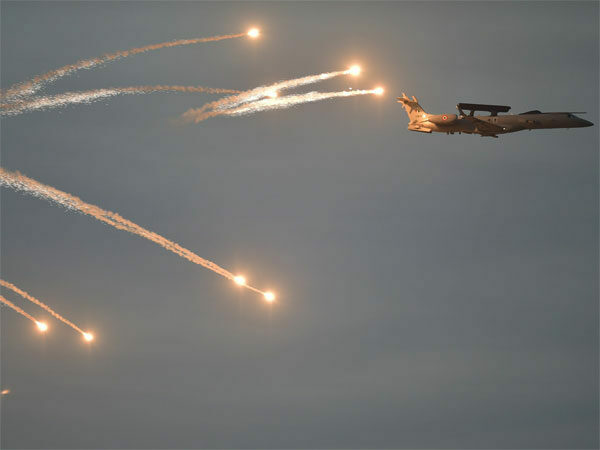 Indian Air Force (IAF) carried out surgical air strikes across the Line of Control at 3.30 in the morning. India avenged our Pulwama martyrs by demolishing JeM’s training camps and launch pads. Twelve Mirage 2000 fighter jets dropped laser guided bombs completely destroying over three hundred militants within 19 minutes. Celebrities all around reacted to these incidents according to their national sentiments. Bigg Boss 10 contestant and Pakistani actress Veena Malik took a dig at our Prime Minister Narendra Modi,Indian Army and also Indian Air Force and tweeted this dialogue from Bollywood movie, My Name Is Khan. Here it is. Veena even tagged Salman Khan in her tweet taunting about the failed surgical strike, as according to the Pakistan government no casualties have been reported. She even posted a video in her official Twitter handle claiming him to be an Indian pilot who crossed into the Pakistani territory. She even tagged Bollywood actor producer, Akshay Kumar and Ajay Devgn as they tweeted supporting our IAF after the air strike.She even took a dig at Kangana Ranaut as well.Even in another of her tweet she tagged Shobhaa De and blasted her too. In a series of more tweets she took further dig at Indian Prime Minister Narendra Modi and assured that Pakistan will retaliate soon. Hello To all my Bollywood Buddies??? Pakistani actress Veena Malik was slammed like never before. She was not supporting her nation but was instigating war. For any nation war is not the solution, it could never be the answer. She should not spread hatred but should aim at the most plausible positive move. So, what are your views on this? Pakistan government today claimed that they have captured IAF Pilot Abhinandan and some videos regarding the same were also going viral on social media. Later, Indian government also confirmed that an Indian pilot is “missing in action”. While the country is full of anger, people can’t wait to see their hero back in the country. Everyone has just one demand right now and that is to bring the national hero Abhinandan back in the country. Meanwhile, Pakistan PM has suggested that both countries should avoid the war and must consider the “sit and talk” formula to fight the issue of terrorism. His statement comes after the exchange of heat between both countries today.